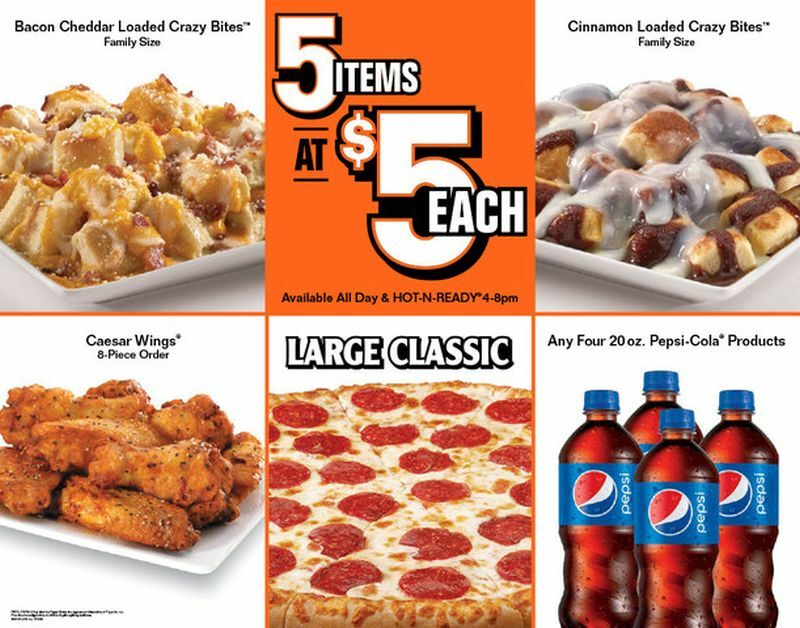 Little Caesars starts the new year trying to earn your dollar with the new, value-focused, shareable "5 Items at $5 Each" menu, which includes new Cinnamon Loaded Crazy Bites. - New Cinnamon Loaded Crazy Bites - The chain's take on cinnamon rolls consists of a family-size portion of warm Crazy Bites sprinkled with cinnamon and sugar and then drizzled with cinnamon roll spread and cream cheese icing. - 8-piece Caesar Wings - Available in Oven Roasted, BBQ, Buffalo, or Garlic Parmesan flavor. Items on the menu are available Hot-N-Ready from 4-8 PM and during the rest of the day by request. 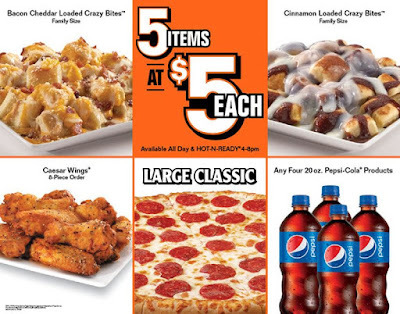 The "5 Items at $5 Each" can be found at participating Little Caesars restaurants for a limited time.